Preparing your mail can be such a boring and impersonal chore. 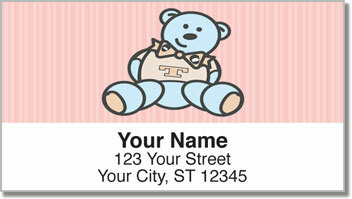 But now you can add some personality and adorability with these cute address labels featuring cuddly bear cubs! 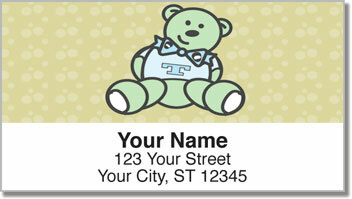 The four colorful styles will make every letter and package you send a little bit more loveable. It's like sending a bear hug to everyone on your mailing list! 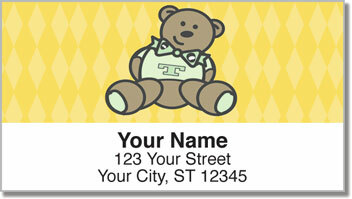 Teddy Bear Address Labels from CheckAdvantage are not only a delightful design, they are also quite convenient. A handy self-adhesive backing allows you to simply peel and place your new labels on every piece of mail. 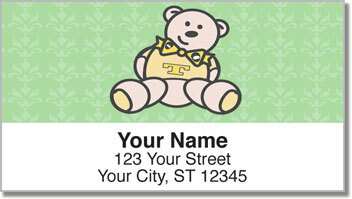 Get your very own Teddy Bear Address Labels today! You can complete your order with a set of matching personal checks.